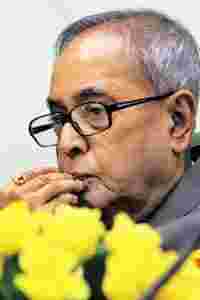 New Delhi: India’s budget deficit, forecast to balloon to a 16-year high this year, can’t be sustained for a long time, said finance minister Pranab Mukherjee. India’s budget deficit is forecast to increase to 6.8% of gross domestic product (GDP) in the 12 months through March 2010. A widening deficit made Indian bonds the worst performers this year among the top 10 local-currency debt markets in Asia outside Japan, with a 5% loss, according to indexes compiled by HSBC Holdings Plc. Mukherjee is borrowing a record Rs4.51 trillion this year to fund stimulus packages and revive growth. India’s GDP expanded 7.9% in the three months to 30 September from a year earlier, the quickest pace in six quarters. India’s local-currency rating outlook was raised to positive from stable by Moody’s Investors Service on 15 December, which cited a strengthening economic recovery. The change was prompted by increasing evidence that the Indian economy has demonstrated its resilience to the global crisis and is expected to resume a high growth path with its underlying credit metrics relatively intact, Moody’s sovereign analyst Aninda Mitra said in a statement. Moody’s has a Ba2 rating on India’s local debt.